New data protection regulations will be enforced from 25th May 2018. These regulations affect charities like ours and how we process the personal data of our participants and supporters. You can read more about them at the Information Commissioners Office (ICO) website. The General Data Protection Regulation, known as GDPR, is a really positive step towards you having more control over how your data is used by organisations and how they contact you. The changes will also help to better protect your personal data. You will now need to give consent for us to contact you, unless we have a “legitimate interest” reason why we need to contact you in the course of our business – for example if we need to tell you that a workshop that you attend is cancelled. If you haven’t already given us consent to send you our email newsletter, you can do this by email at info@dancesyndrome.co.uk or you can visit the Keeping in Touch page on our website. If you don’t do this, we can’t keep you up to date with our latest news. You can change your mind and opt out at any time. We take your data privacy seriously, as we always have. 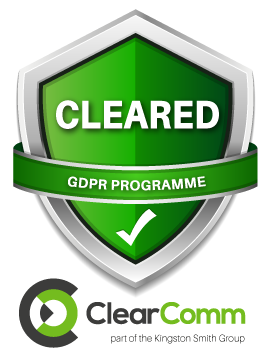 DanceSyndrome staff are all fully trained in GDPR compliance and we have gained certification of compliance from an external verifier. DanceSyndrome will never sell your data. We will only share it with other organisations when we have legally binding agreements to do this, and we will not do this without consulting you. DanceSyndrome will store your data for the duration of the project that you are involved with or until our relationship ends. You can request access to the data that we hold by completing a Subject Access Request form. You can ask that we delete your data at any time by completing a Withdrawl of Consent form. If you have any concerns about how we handle your data, please get in touch a member of our team, who have all been trained in these new data protection regulations. You can email info@dancesyndrome.co.uk or call 07597 942494. DanceSyndrome’s nominated Data Protection Officer (DPO) is Sarah Calderbank who can be contacted directly at sarah@dancesyndrome.co.uk or 07597 942494.